How is the Christian to see himself in this world? “Simul Justus et Peccator” – “At the same time righteous and a sinner”. Justification is forensic. In Christ, we are declared, counted, or reckoned to be righteous when God imputes the righteousness of Christ (an “alien righteousness”) to our account. Christ’s righteousness ascribed to the redeemed individual without their personal merit. We are declared righteous in Christ, it is imputed to us — it is counted as ours … not infused in us. We are counted righteous in God’s eyes because of Christ. But this does not make us righteous in ourselves. That will only happen at our glorification when Christ transforms these bodies to be sealed in righteousness. Justifying righteousness is something which always resides in the Person of Christ alone. The imputation of this “alien” righteousness is the only means by which man can be acceptable to God. As long as the Christian lives, he is guilty in himself, but “in Christ” he is righteous and accounted precious. The Council of Trent itself reveals that Rome considered Luther’s Simul Justus et Peccator to be a most serious threat to the traditional teaching of the Catholic church. The Roman Church contended that “justification” means making a man righteous in his own person. The Catholic reasons, “How can God pronounce a man to be righteous in His sight unless he is actually righteous?” He therefore thinks that a man must be born again and transformed before he can have right standing with God. In this system of thought, a man can have no real assurance of justification, for he can never be sure whether the Holy Spirit has made him righteous enough to be accepted of God. Righteousness through Christ is called an “alien” righteousness because it did not generate from us. It is not our righteousness; it is his. It is an alien righteousness because it came from without, and now it is in a foreign land. It does not belong here; it is an alien righteousness. In Latin, we call it Simul Justus et Peccator: simul, simultaneously; justus, just; et, and; peccator, sinful. That is me – simultaneously righteous and sinful. That is my contribution to salvation — my sin! At the same time that I am a sinner, God sees me as righteous because of the blood of Jesus Christ. That is the message of outreach — it is the message of salvation. Righteousness comes in two ways: Coram Deo (righteousness before God) or Coram Hominibus (before man). Instead of a development in righteousness based in the person, or an infusion of merit from the saints, a person is judged righteous before God because of the works of Christ. But, absent the perspective of God and the righteousness of Christ, based on one’s own merit—a Christian still looks like a sinner. The declaration involves God imputing to the believer’s “balance sheet” or account the alien righteousness of Christ. The believer is not declared righteous by virtue of his own merit, but on the basis of the merit of Christ. When united to Him, it is justification which becomes the foundation upon which the believer can stand with confidence Coram Dei. The believer has no cause to fear in the presence of God because of His acquittal. The believer has only and always to look to the finished work of Christ on the Cross and hear God’s declaration, “You are accepted.” Because of justification the believer does not fear God’s rejection because of the sin still present in his/her life. God does not look at the sin in our life except through the work of Christ. This tension is resolved in the Incarnate Christ, crucified and now risen for the life of the world. Eternal life is Christ dwelling in His righteousness in the soul of the justified person. So eternal life is union with Jesus Christ. And the word for that union with him is faith. The sinner comes to him, rests in him, trusts in him, is one with him, abides with him; and this is life because it never ends. The united soul abides in the Vine eternally. Weakness, sin, proneness to sin never brings separation, but only the Father’s pruning, which cements the union even and ever tighter. The Judge of all the earth declares us “not guilty” when we believe because Christ was pronounced “guilty” for us on the cross. We are not first made righteous, then declared righteous; we are declared to be righteous by grace through faith in Christ, then made righteous! When we believe, God imputes Christ’s righteousness to us ‘as if’ it was our own. However, it is HIS righteousness, that is why Paul says in Romans 1:17 that there is a righteousness that has been revealed from God, a righteousness not of our own, but a righteousness revealed from God and freely given to those who do not work, but to those who believe. In light of the goodness and graciousness of God who was in Christ reconciling the world to himself, we should daily repent of our own self-righteousness (our works), The words imply a declaration and pronouncement from the divine court of the believer’s right standing with God. “Justification” in itself does not mean a change in the man, but a declaration of how he appears in God’s sight. Through faith we run to Christ and hold fast to Him, who satisfied the law on our behalf (Romans 10:4; Galatians 3:10-13). In this way, we are accounted righteous in the sight of God through faith alone, without doing the works of the law. We are Simul Justus et Peccator. Luther recognized that even in a state of regeneration the believer still lives in the world and still in fact does commit acts of sin. There is no attempt to redefine sin to make it anything less than what it is. Rather there is a stark recognition of the dialectic of the Christian’s acceptance before God and the fact that he still sins. Luther’s phrase to describe this condition was that the state of the Christian between regeneration and ultimate glorification is Simul Justus et Peccator, at once just (or justified) and sinner. This is not a condition that will ever be transcended in this life. Rather, the believer must always rely on the finished work of Christ for his/her acceptance before God. Faithful: I say, then, in answer to Mr. Envy, that I never said anything but this: That what rules, or laws, or customs, or people, were ﬂat against the Word of God, are opposed to the Christian faith. If I said what was wrong, convince me of my error and I will take it back. In reply to Mr. Superstition, let me say that in the worship of God there is required a divine faith. There can be no divine faith unless it is divinely revealed by the will of God. What is brought into the worship of God that was not divinely revealed is a human faith, and that faith will not proﬁt to eternal life. And as for Mr. Pickthank, I say that the prince of this town, with all his attendants, as already named, are more ﬁt for hell than for this town and country and so may the Lord have mercy on me.” Then the judge said to the jury Gentlemen of the jury, you see this man, about whom so great an uproar has been made in this town. You have heard what these worthy gentlemen have said against him. You have heard his reply. It is now for you to hang him or save his life. But I think I must ﬁrst instruct you in our laws. There was an act made in the days of Pharaoh the Great, a servant of our prince, against those of a different religion . In order that they might not increase too fast and become too strong for him, all their young children were thrown into the river. ‘There was another act made in the days of Nebuchadnezzar the Great, that all who did not fall down and worship his golden image should be thrown into a ﬁery furnace. There was also an act made in the days of Darius, that if any called on any other god but him, they should be cast into the lions’ den. Now the prisoner at the bar has broken these laws, not only in thought, but also in word and deed. Then the jury went into another room. Their names were: Mr. Blindman, Mr. No-good, Mr. Malice, Mr. Love-lust, Mr. Live-loose, Mr. Heady Mr. High-mind, Mr. Enmity, Mr. Liar, Mr. Cruelty, Mr. Hate-light and Mr. Implacable. Among them elves they concluded to say that Faithful was guilty. Mr. Blind-man, the foreman, said, I see clearly that this man is a heretic.” Mr. No-good “Away with such a fellow from the earth.” Mr. Malice “Aye, for I hate the very looks of him.” Mr. Love-lust: “I could never endure him.” Mr. Live-loose: “Nor I, for he would ever condemn my way.” Mr. Heady “Hang him Hang him Mr. High-min d “A sorry scrub.” Mr. Enmity “My heart riseth against him.” Mr. Liar: “He is a rogue and a liar.” Mr. Cruelty “Hanging is too good for him.” Mr. Hate-light: “Let us dispatch him out-of-the-way.” Mr. Implacable “If I had all the world given to me I could not like him. Let us bring him in guilty of death.” And so they did, and he was taken from the place where he was to the place whence he came and put to a cruel death. They whipped him and beat him, and cut hi m with knives, and stoned him with stones, and, last of all, they burned him to ashes at the stake. Now there stood behind the crowd a chariot and a span of horses waiting for Faithful. As soon as he passed away he was taken into it, and was carried up through the clouds, with sound of trumpet, the nearest way to the Celestial City. But as for Christian, he had a rest, and was put back into prison, where he stayed for a time. But he who rules all things so brought it about that at last Christian escaped them, and went on his way. Taken and adapted from, Theologia Christiana, Book 2 Ch. 9, 1696. “…now observe that the scripture expressly mentions three persons to whom the divine nature is ascribed, namely, the Father, the Son, and the Holy Ghost. Concerning these three persons we must remark, that they are distinct from each other, as is evident from the passages already quoted, and many others; thus Psalm 110:1, “The Lord said unto my Lord, Sit thou at my right hand.” Here the Lord who speaks is distinguished from the Lord who is spoken to. So also John 15:26, “When the Comforter is come, whom I will send unto you from the Father, even the Spirit of truth, which proceedeth from the Father, he shall testify of me.” Here the Comforter, or Spirit, is plainly distinct from the Father and the Son. Against, they are so distinguished, that some things are said of the Father which cannot be said of the Son, and some things of the Son which are no wise said of the Spirit. The Father is said to have begotten the Son but the Son is no wise said to send the Father. The Spirit is said to proceed from the Father, and to be sent by the Son; but no where is the Father said to proceed from, nor the Son to be sent by, the Spirit. Yet are these persons distinct in such a manner, that they are not three Gods but one God; for the scripture everywhere proves, and reason confirms, the unity of the Godhead. This mystery of three in one, is called the mystery of the Trinity, a word not expressly written in the scriptures, but wisely invented, and advantageously used, for the purpose of exposing the shifts and subterfuges of crafty heretics, just as other words have been invented and used, such as … (of the same essence), … (essence), … (subsistence), &c. Concerning this mystery we must inquire soberly, and speak modestly, since the human mind cannot conceive, nor mortal tongue express, the greatness of it; and, therefore, we can have nothing to do with the unbridled audacity of the vain and speculating schoolmen, who, by their plausible and dangerous subtleties, have given room for the introduction of various heresies. Taken and adapted from, “The Sole Consideration, That God is God, Sufficient to Still All Objections to His Sovereignty”, included in, “The Works of Jonathan Edwards”, Volume 2, 1736. …and will act as such. Great men, and rich men, and wise men cannot hinder God from doing his pleasure. He leadeth counsellors away spoiled, he accepteth not the persons of princes, nor regardeth the rich more than the poor. 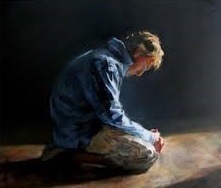 There are many devices in a man’s heart, but the counsel of the Lord that shall stand, and the thoughts of his heart to all generations.—When he gives quietness, who can make trouble? When he hides his face, who can behold him? He breaketh down, and it cannot be built up again: he shutteth up a man, and there can be no opening; when he purposeth, who shall disannul it? And when his hand is stretched out, who shall turn it back?—So there is no hindering God from being sovereign, and acting as such. “He hath mercy on whom he will have mercy, and whom he will he hardeneth.” “He hath the keys of hell and of death: he openeth, and no man shutteth: he shutteth, and no man openeth.” This may show us the folly of opposing ourselves against the sovereign dispensations of God; and how much more wisely they act who quietly and sweetly submit to his sovereign will. …I will go on with the promises. Thus you go on by the law, and I by the gospel. Do perform your duty, and I will plead my privileges. Act thou as an industrious servant, and by God’s grace, I will act an affectionate son. …and I will cast my burdens on the Lord, who has promised to sustain me. Be thou careful to observe all the grievousness which they prescribe, and I will cast all my care upon Him that careth for me. Walk thou by sight, and I by faith; walk thou in the letter, and I in the Spirit. Look thou to the commandments, and I will look to Jesus….